What to think about for your garage renovation! The fall is a prime time for making home additions. Why is this? It’s so you can show off your new points of pride just in time for your relatives to visit over the holidays and impress them enough to have their own home additions done as well. But what if one of the changes you want is a converted garage? How would the process of garage additions work? Keep reading to find out some key features to keep in mind for your next garage renovation project. Before you can do anything in the garage, you will want to remove the garage door. Garage additions are much more difficult if you can only access the garage through the interior door of the home. Now that you have decided to upgrade your garage or make it something different, you can install new doors that lead to your sunroom. You could also choose to add a much bigger window or create a brand new entryway into your home even without the garage door there. Don’t overlook how important your garage floor is, as well. The floor may not be on the same level as the rest of your home’s foundations, so during the conversion or addition process, you may decide that it’s past time to even it all out. Chances are your current garage still needs electricity for lights to see by when you walk in. But renovating the garage into another living space might require you to reconsider your power supply needs. Adding some new 20-amp circuits should be enough to avoid overloading your home’s circuit breaker when you turn on power tools in your new workshop, or your in-laws want to watch late night news before going to sleep. Most of the time, garages are used to store our cars when they’re not in use. Once you convert your garage to a different purpose, you might not have an indoor carport anymore. Will you keep your vehicle in the attached driveway? Or will you leave it parked on the curb in your neighborhood cul de sac? 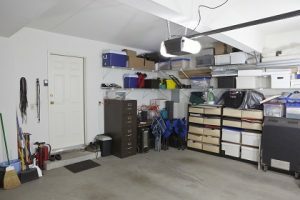 The choice is yours, but just remember cars aren’t the only items typically stored in a garage – your lawn care tools and supplemental appliances (such as refrigerators kept in the garage) might have to move elsewhere. Choose Kitchen and Bath Depot for Your Holiday Garage Renovation Project! Ready to get started on your next home or garage addition project? Kitchen and Bath Depot is the perfect choice for a premier home remodeling services. We provide remodeling services to customers throughout Maryland and the Washington D.C. area including Bethesda, Silver Spring, Gaithersburg and more. Call us at (301) 888-5324 or check out our showroom at 11637 Boiling Brook Parkway in Rockville, MD. You can also read our testimonials or connect with us on Houzz, Facebook, Twitter, Google+, and Pinterest. This entry was posted on Wednesday, November 15th, 2017 at 10:12 am. Both comments and pings are currently closed.